As I have traveled the world in search of new birds I have, of course, visited a good number of countries. Of course large species rich countries like Australia, Indonesia, China or the USA require multiple visits to see their avifauna, but slowly the number of countries visited has risen until it now stands at exactly 100. I haven’t, with one or two recent exceptions (Croatia and San Marino), adjusted my travel plans merely to add a new country to my list. Just as it can be difficult to exactly define exactly which birds constitute a species, it can be difficult to define exactly what a country is. Clearly France, USA or the United Kingdom fit the criteria but what about New Caledonia (a French Overseas Country), Guam (United States Unincorporated Territory), Gibraltar (United Kingdom Overseas Territory), Jersey (United Kingdom Crown Dependency) or Wales (a country incorporated within the United Kingdom). I have decided to follow the list of countries and territories published in the Times Concise Atlas of the World with two exceptions, Hong Kong which was a UK Overseas Territory when I first visited but is now part of China and Antarctica, which according to the Antarctic Treaty of 1959 does not belong to any state and territorial claims are held in abeyance. I have not included countries where I have only been to the airport in transit to somewhere else (these include Bangladesh, Greece, Malawi, Martinique, Qatar, Pakistan, Singapore, United Arab Emirates and Zambia) but do include Haiti and Botswana where I have briefly crossed the border without transiting a recognised border post. The list includes the semi-autonomous Palestinian West Bank but excludes the disputed area of Northern Cyprus. 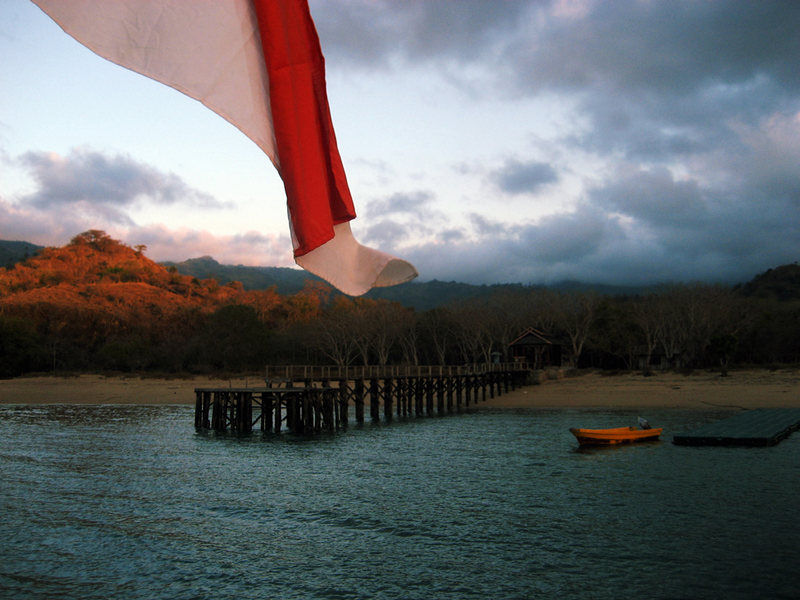 Number 46: The Indonesia flag flies from the boat that I took to the island of Komodo in 2006. It’s a continent but not a country. Surely worth a tick on the country list! « 22nd – 30th September – back home in Dorset.